Gevo, Inc. has entered into two separate operating leases and service agreements with Shockwave LLC to install Shockwave’s Thermodynamic Corn Fractionation Process as well as related technology and equipment at Gevo’s production facility in Luverne, Minn., U.S.A.
A leading renewable technology, chemical products, and next-generation biofuels company based in Englewood, Colo., U.S.A., Gevo has developed proprietary technology that uses a combination of synthetic biology, metabolic engineering, chemistry and chemical engineering to focus primarily on the production of isobutanol, as well as related products from renewable feedstocks. Gevo’s strategy is to commercialise biobased alternatives to petroleum-based products to allow for the optimisation of fermentation facilities’ assets, with the ultimate goal of maximising cash flows from the operation of those assets. Gevo produces isobutanol, ethanol and high-value animal feed at its fermentation plant in Luverne, Minn.
Gevo’s deployment of this process is an important step of its previously announced strategy to deploy capital at its Luverne facility, and to make certain changes and improvements to produce low-carbon ethanol side-by-side with low-carbon isobutanol. Shockwave is financing its equipment required for this multi-million dollar project and is providing certain performance guarantees for the Shockwave Process. The Shockwave Process is expected to improve the profitability of Gevo’s Luverne facility by lowering the cost of ethanol and isobutanol production, increasing the number and value of feed and protein products, producing corn oil for food use, and helping to lower the overall carbon footprint for the facility.The Shockwave Process is expected to be operational during the first quarter of 2019. In addition to the Shockwave Process, Gevo also plans to debottleneck production and optimise the Luverne facility’s energy and equipment infrastructure to use lower amounts of fossil-based energy sources to fully implement its strategy to produce low-carbon intensity ethanol. “We are committed to low-carbon intensity fuels as well as value-added products that can go into the food chain. We plan to use sustainable, low carbon intensity, non-food corn as a raw material, process the corn, upgrading the protein, and making it suitable to go into higher-value feeds and the food chain. The corn oil we plan on producing with the Shockwave Process is expected to be food-grade rather than fuel-grade,” said Patrick Gruber, Gevo’s chief executive officer. “Once the protein and oil are sufficiently captured, we will process the residual carbohydrates, fermenting them to low-carbon intensity ethanol, and ultimately low-carbon intensity isobutanol, once we fully build out our Luverne site. We project that we would generate on the order of 10 pounds of protein and feed for the food chain for every gallon of renewable jet fuel that we would produce. No longer do we have to think about competition for land between food and low carbon intensity fuels, we believe we could do them both, sustainably,” he added. Shockwave’s Thermodynamic Corn Fractionation Process is a front-end corn fractionation platform that uses high-velocity air and pressure changes to fractionate solid materials, providing an innovative, low-cost approach to separating the corn kernel into the various fractions including a higher-starch feed for fermentation as well as germ and fiber. After successful pilot and demonstration-scale testing, Shockwave announced in June 2018 the commercial release of its corn fractionation platform. In addition, Shockwave’s proprietary particle size reduction technology has been commercially deployed in several other applications including value-added products for the agricultural, post-consumer waste and mining industries. “Our process has already been shown to work well for fractionating corn. 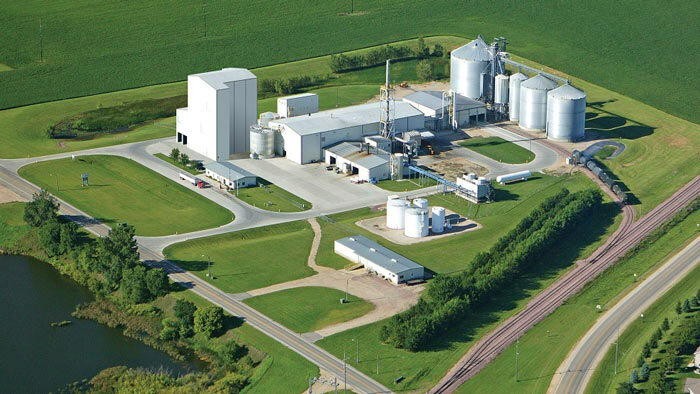 We look forward to partnering with Gevo at their Luverne facility to continue optimising the process in a fully integrated corn dry mill bio-products plant. Having spent six years developing and refining this technology for corn fractionation, we see a tremendous opportunity to improve the profitability of dry mill biofuel plants by enabling new sources of revenue and margin,” said Joe Fitzgerald, Shockwave’s founder and president. “We have evaluated several opportunities for our first commercial deployment and we chose Gevo because of their team’s technical capability in deploying technology and the size of the plant which matches equipment that we have already extensively tested,” he said. Gevo has also developed technology to produce hydrocarbon products from renewable alcohols. Gevo currently operates a biorefinery in Silsbee, Texas, U.S.A., in collaboration with South Hampton Resources Inc., to produce renewable jet fuel, octane, and ingredients for plastics like polyester.